Ft. Lauderdale has a reputation for being a lively town (this is helped along by spring breakers who invade every year and pour thousands of tourist bucks into the economy) but just because a place is vivacious doesn’t mean it can’t be stressful too. In general, life presents us with a myriad of stress factors: whether or not the kids are doing okay in this rough economy; how our parents are faring now that they’re getting older; the state of our bank accounts, etc. How are you supposed to deal with all of that stress? You probably already know how important it is to get a good night’s sleep. Unfortunately, with all of the items on your to-do list to worry about, it’s no wonder you’re having a hard time achieving that goal. So what do you do? How do you combat that stress? Well, there are lots of things you can do. ~You can start working out regularly. ~Stick to a healthier diet. ~Secure a second job to help take care of money problems. Wait…what? Downsize? It’s true. 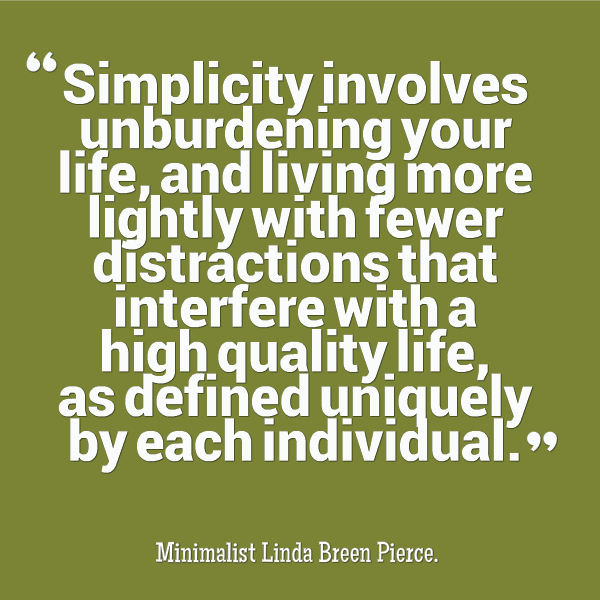 Getting rid of the clutter and living a minimalist lifestyle has been proven over and over again to help calm the mind and reduce stress levels. Okay, but what if you don’t want to get rid of all of your stuff? This is one of the biggest myths surrounding minimalism. The truth is that minimalism isn’t about going without. 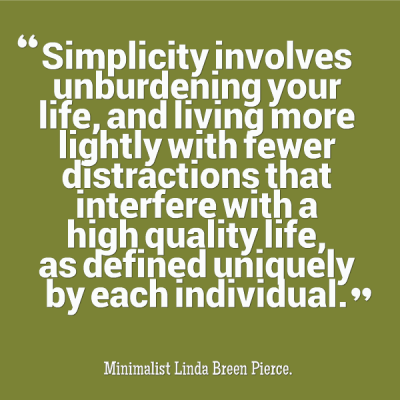 Minimalism is about surrounding yourself with only what you truly need and actually use. It’s about doing more with less. Look around your house: when was the last time you actually picked up the books on those shelves? When was the last time you really looked at all of the knick knacks you bought to help “add character” to your home? Do you really need those things to feel happy? Or are they in fact just cluttering your living space and injecting an unnecessary dose of chaos to your life? Go through your home. If you haven’t used something within the last year and it doesn’t hold tremendous sentimental value (aka: if you can’t remember who gave it to you or why, it isn’t sentimental), you can get rid of it. Sell it for some bank account padding or donate it to someone who needs it. You already feel better, right? Getting rid of the clutter can feel incredibly liberating for homeowners, especially at midlife! So what do you do with what’s left? If you have used it within the last three months, it can stay in your home. If looking at something decorative truly makes you happy every time you see it or if you love having a particular sentimental item close by for comfort, it can stay in your home. For everything else, rent a storage unit. There are many great affordable options in Ft. Lauderdale—and remember, when you use a storage unit you get to keep the things you love without having them take over your home and life. A minimalist home is easier to keep clean. It’s easier to fit into a smaller physical space (which is cheaper to heat and cool and uses less power—definitely worth considering if you’re facing serious money woes). It stops reminding you of the things you kept thinking you’d do but still haven’t gotten to yet (all of those books you bought but don’t yet have the time to read, etc). Especially if you live in an active and rambunctious city like Fort Lauderdale, or any bustling metropolitan area, it’s important to “let go” of some of your possessions. It might sound a little “hippie-dippie” to you, but going the minimalist route can be a fantastic way to reduce stress and leave your mind free to solve other, more important problems!